When tap water, which typically comes from a municipal drinking water plant, reaches the faucet at home, it may contain residual tastes, odors, disinfection byproducts, and chlorine in free and combined forms. Many of these compounds can be effectively removed by an activated carbon product. Physical adsorption removes taste and odor causing organic compounds, volatile organic compounds (VOCs), trihalomethanes (THMs) and other halocarbons from drinking water. 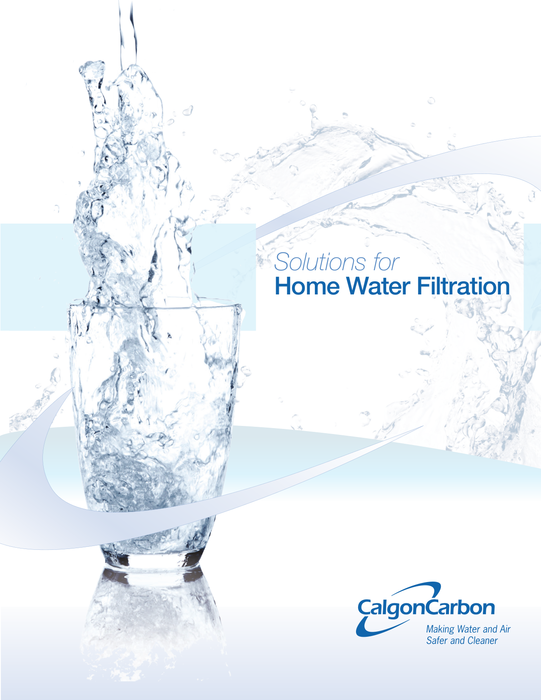 Calgon Carbon has a broad range of NSF* approved products made from coal and coconut raw materials specifically designed for whole home water treatment filters. Activated carbons are an effective treatment to help ensure water that is contaminant-, taste- and odor-free.